It's hard to truly grasp what that "100 million" badge on the Play Store means. Once the figure is condensed into a simple little badge, it loses a lot of its dramatic effect. But take this into account: 100,000,000 is roughly three times Canada's entire population. That's damn impressive. Smash Hit was pretty big a few years ago, but I haven't seen anyone play in it in a while. The premise? You're traveling in an "otherworldly dimension" with a limited supply of balls, and you must destroy "crystals" with these balls. 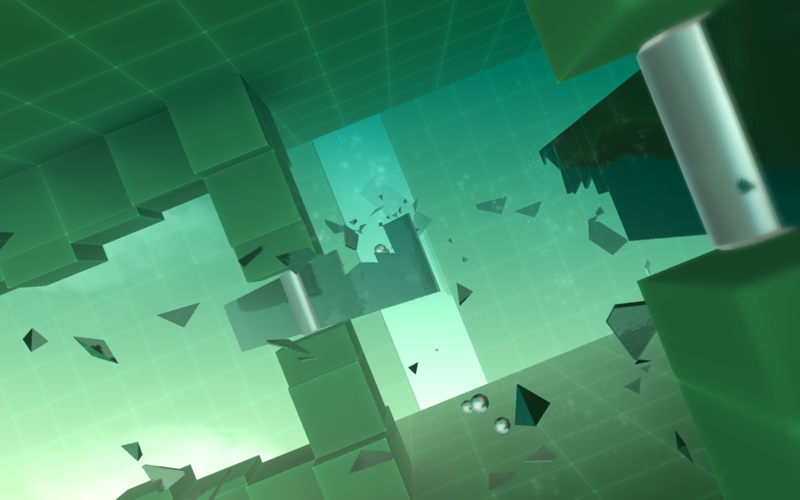 It's not difficult to understand why the game has accrued so many downloads; the sound of the glass breaking is pretty satisfying, and the different levels and power-ups keep things interesting. It's important to keep in mind with these app download figure posts that the number posted is actually the number of unique Google accounts that have downloaded the app, not the actual number of downloads. That means that 100 million Google accounts have downloaded this game at least once. I know for sure that I've downloaded it on more than one device, which means that the actual download number may very well be much higher than 100 million. Plus, these figures only count Play Store downloads, and not installs from sites such as APK Mirror. The figure starts to get more and more mind-boggling the more you think about it, especially since this is a mobile game, and not one from an especially popular series like Angry Birds or Candy Crush Saga. If you'd like to give Smash Hit a try (or just get a taste of nostalgia), you can download the app from the widget below.